Sahara desert tour Marrakech: A private 4-day Merzouga desert trip from Marrakech city to explore Ait Benhaddou Kasbahs and Erg Chebbi dunes at Merzouga. This trip is for people who have time, with less driving each day and more time in the desert. You will get the chance to stop and enjoy impressive landscapes, the old fortified villages, and Kasbahs. It is possible also to take a short walk through a palm grove to see how farmers live from the land. – Enjoy a Camel trek, sleeping in tents under the stars and watching the sun as it rises over the dunes. – Visit Khamlia near Merzouga, inhabited by Senegalese musicians and dancers. 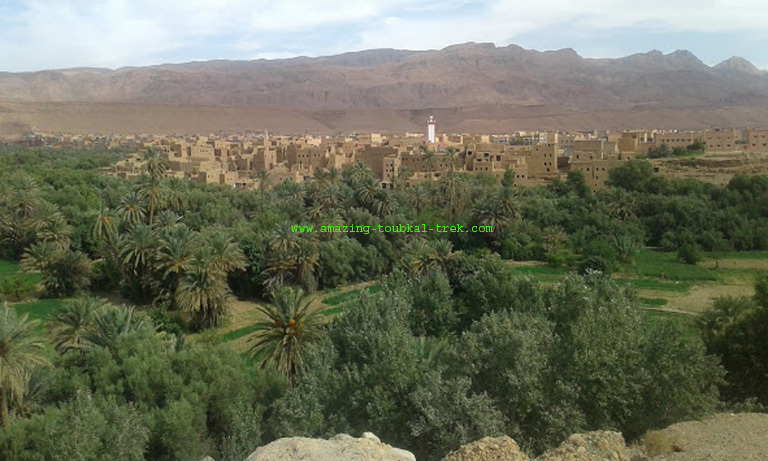 – Visit the Glaoui Kasbah in Telouet, the Ait Benhaddou castle, UNESCO World Heritage site and the Ouarzazate film studios. We drive early in the morning, towards the spectacular Tichka pass in the high Atlas, then to Ouarzazate. We visit Taourirt Kasbah, then take time for lunch. After driving to Dades Gorges by the Road of Thousand-Kasbahs, with beautiful views. We spend the night in a hotel near Dades gorges. After breakfast, we drive from Dades gorges to Merzouga. 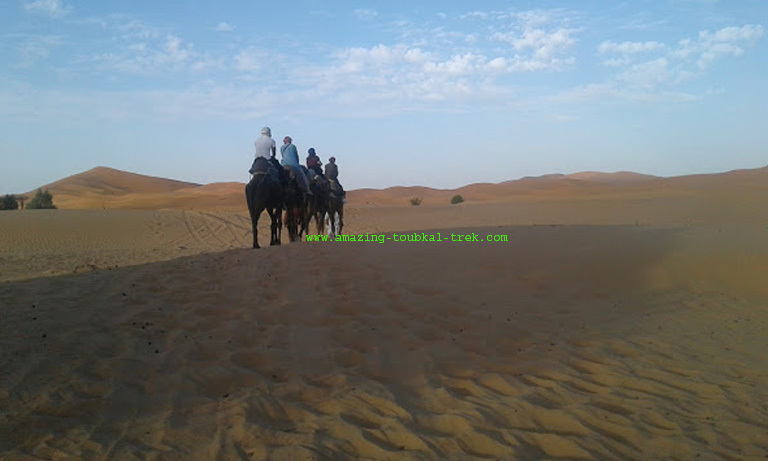 We visit Todra gorges then drive to Rissani, Erfoud to arrive Erg Chebbi dunes. After a short rest in the hotel, you ride camels across and desert and take beautiful photos. Overnight in Berber tents. We get up early in the morning to enjoy the sunrise; then you ride camels back to the hotel. After breakfast, we go back to Marrakech via different road to Draa valley then to Ouarzazate. 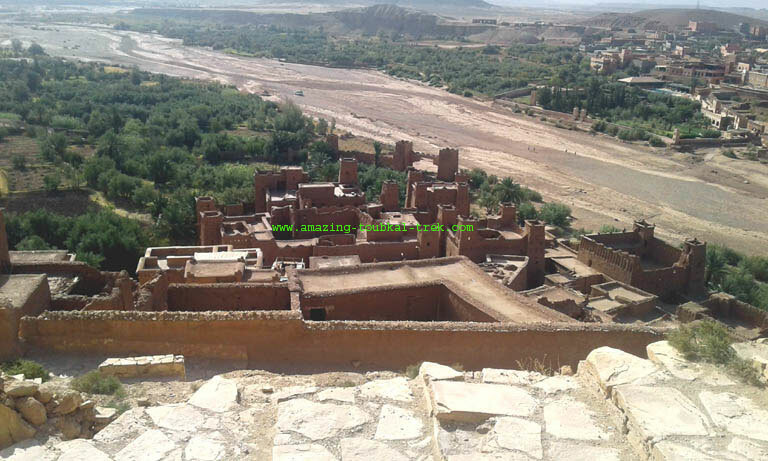 We will have lunch then visit the studio of the cinema before we continue to drive to Ait Benhaddou kasbahs, the small town one of the best-preserved. Overnight in a hotel. After breakfast, we drive back to Marrakech via Ounilla Valley. After we visit the kasbah of Glaoui, we continue on the road to arrive in Marrakech. Overnight in the hotel. End of Sahara desert tour Marrakech. 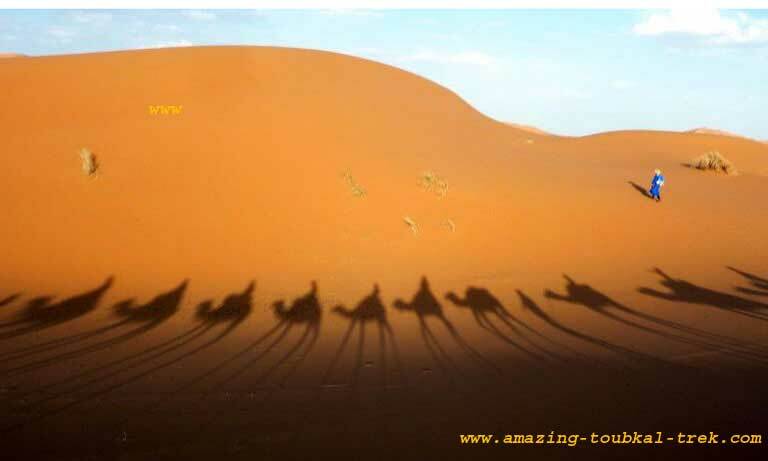 – The Sahara desert tour Marrakech is available and can be arranged for groups of all sizes. Sahara desert tour Marrakech is a great way to experience the Most of southern Morocco. Merzouga Desert Trip, Sahara Desert Tour Marrakech.